We resolved quite early to come back to Barcelona later this year. 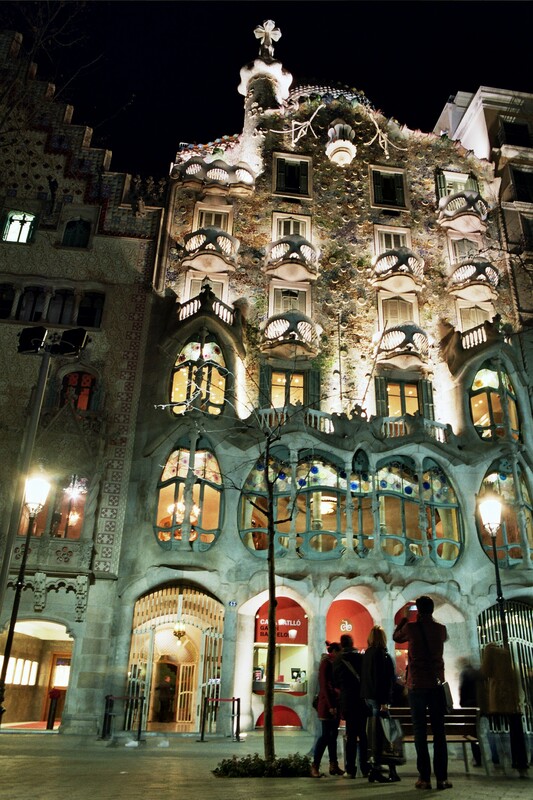 There is more Gaudi to do, not least the Casa Batllo – http://www.casabatllo.es/en – (left) – although not built by the man, he certainly appropriated it and gave it his signature makeover. We are keen also to visit Casa Vicens. 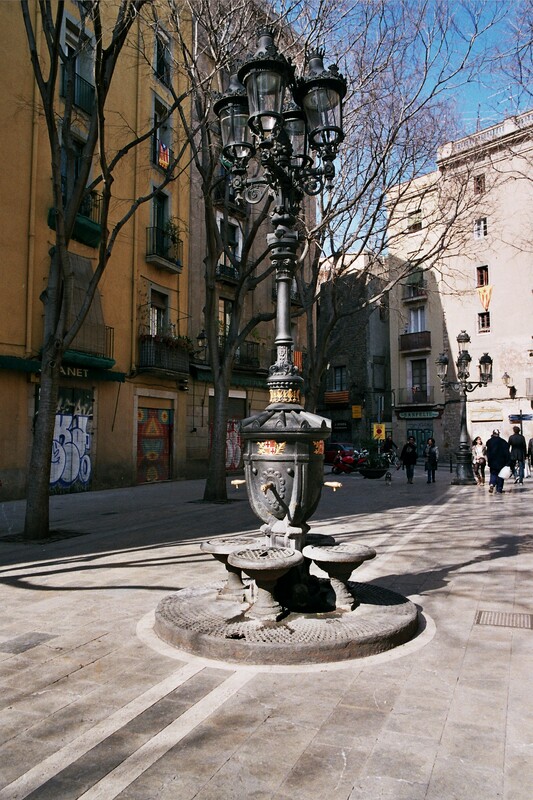 Barcelona, however, is more than Gaudi. There is a waterfront, for those who like those kinds of things. Equally, there are so many quirks. 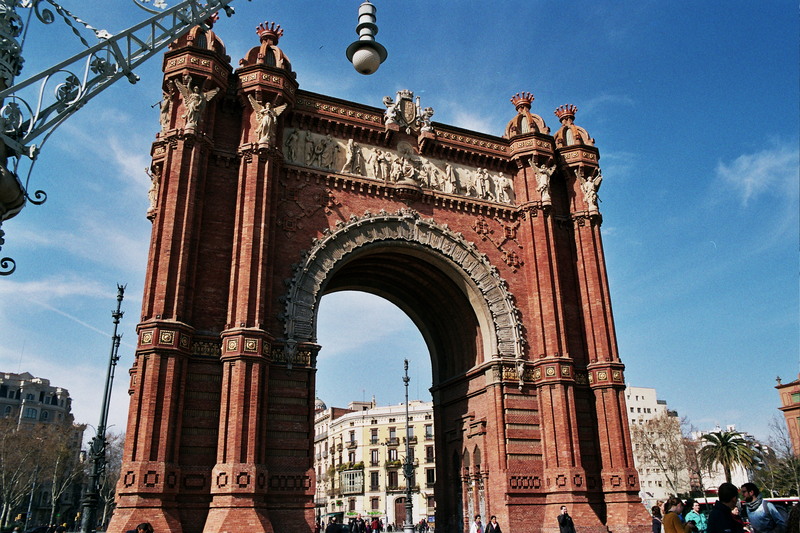 It has its own Arc de Triomf (right). 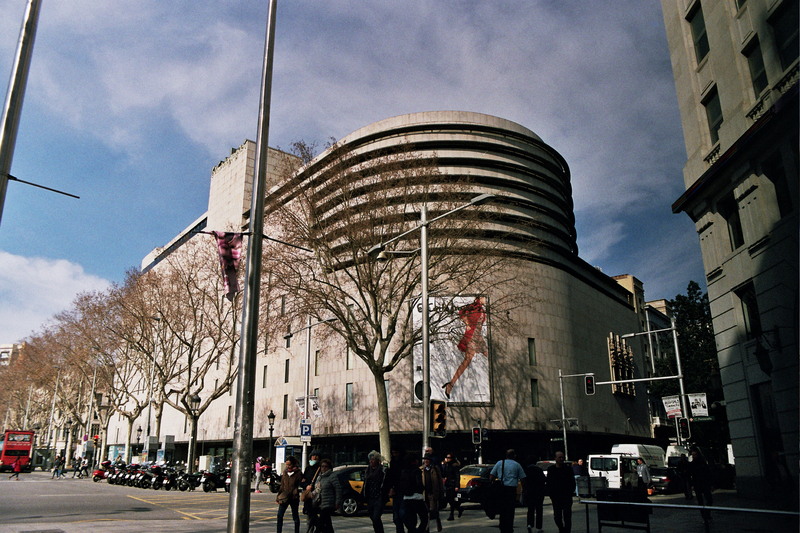 A short way further walkers encounter Plaça Catalunya at the top of La Rambla where the El Corte Inglés department store flirts in its alluring modernist building (left). There are numerous secluded squares on which to sit, some more peaceful than others, all have access to coffee. As a rule. I always judge cities by their drinking fountains. I think it is one of the indicators of civilisation. Towns and cities in hot countries are generally the most generous in their provision, but even in the UK it gets warm in the summer; unfortunately, local authorities in the UK seem to have decomissioned most of them in favour of over-priced and unsustainable bottled water. Barcelona, suffice to say, by this definition is civilised. Civilisation can also be measured through access to history. 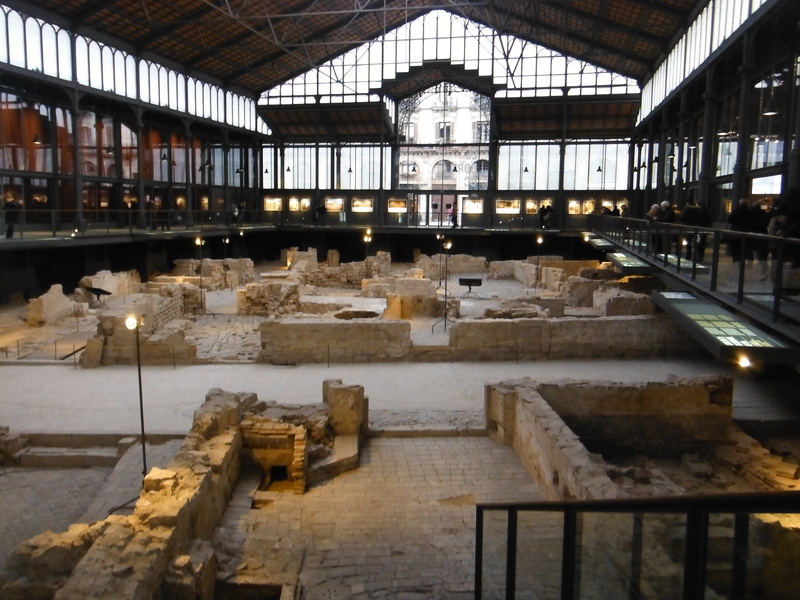 Barcelona is a great trading city of old, and it has a number of 19th Century markets. 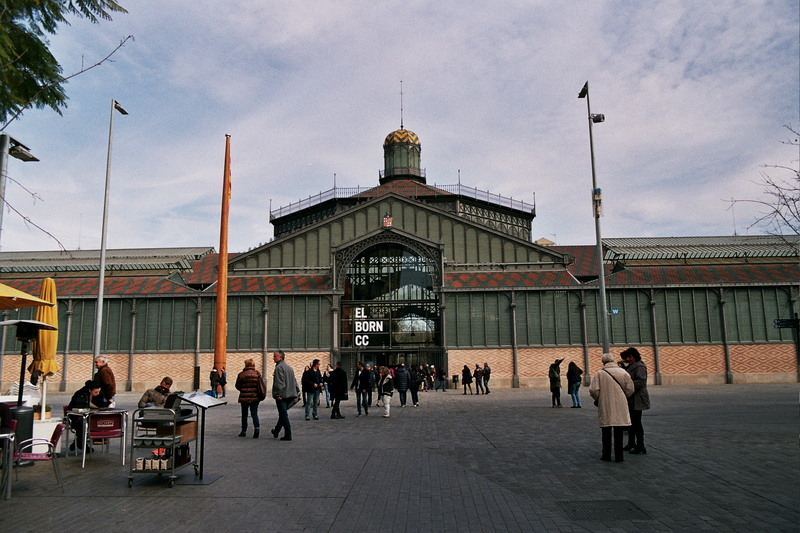 One of these is El Born, a former fish market (left). However, it now acts as a cover for an excavation of the old city (right), a part of which was destroyed in the War of Succession in 1714. It is just an extraordinary space and costs nothing to visit. And then there is always food. As vegetarians we are always seduced by eateries that either cater for us on the menu or are willing to adapt the menu for us. 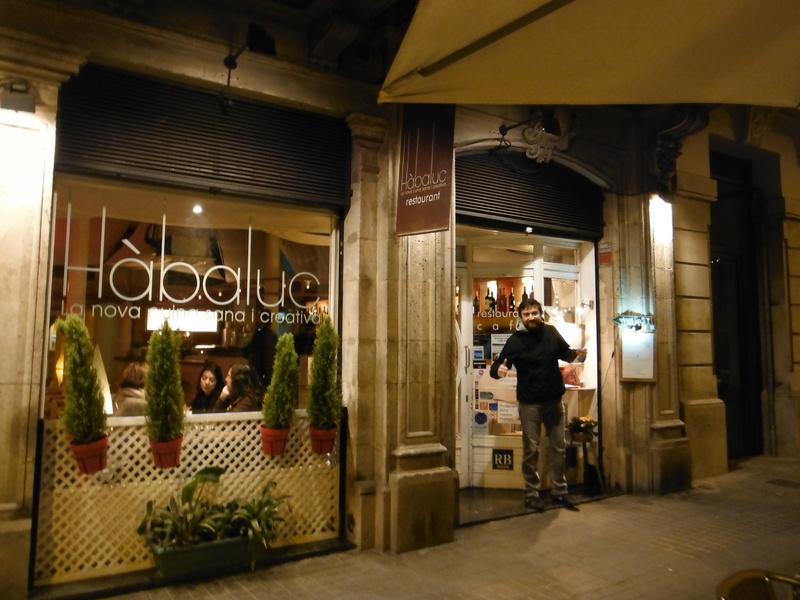 We ate three times in a restaurant called Hàbaluc (http://restaurantehabaluc.com/). It is cheap, cheerful, has a menu in English and a good selection of intelligent vegetarian main courses allowing us to visit three times without eating the same option more than once. They sell wine by the glass and their desserts are crafted almost to pudding perfection. More generally in the city, service is very good. We found that, essentially, one can have whatever you want. Pizza, for example, can be bought by the strip and p aid for by weight. Shop keepers – and there are many – like to solve problems. My analogue camera’s battery failed in the Sagrada Familia. A nearby hardware store put the combined effort of three assistants to the task of finding a substitute. No problem. It is also a city that loves children. 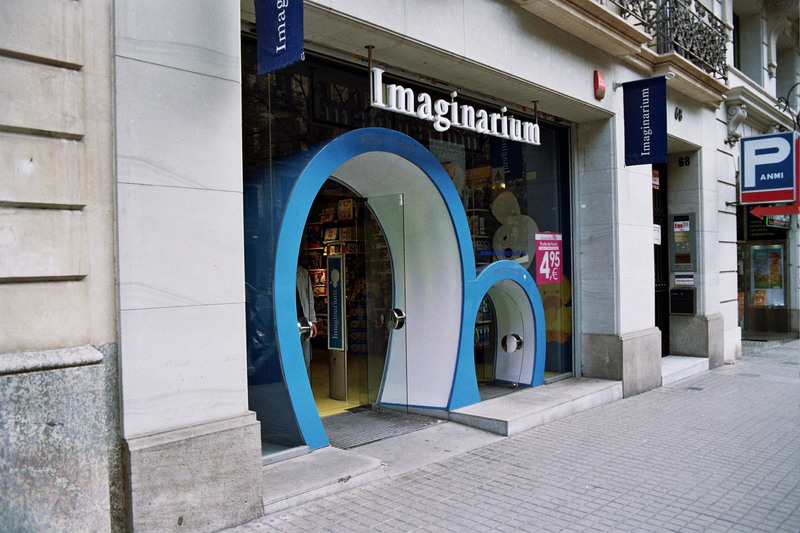 So much so that one toy shop gives them their own door (above right).